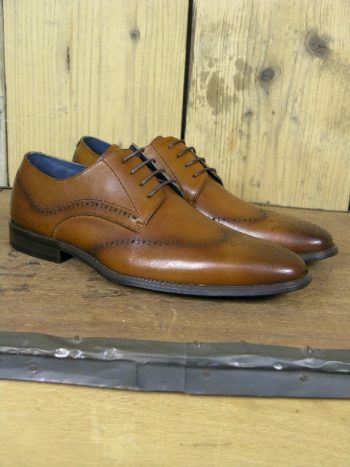 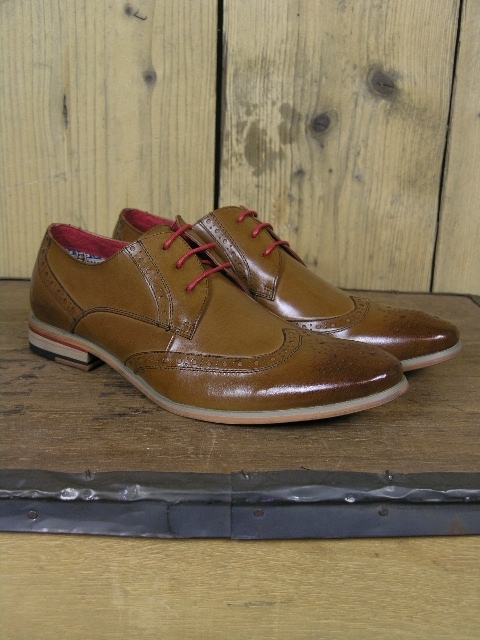 Paolo Vandini Orlando leather brogue shoes in tan. 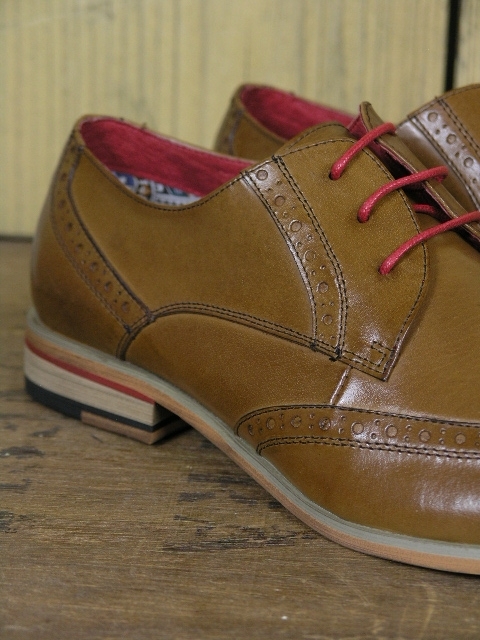 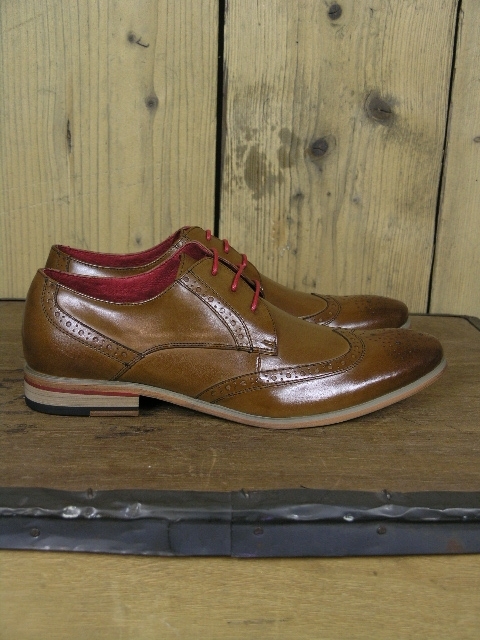 Classic brogue lace up shoe with contrasting red laces. 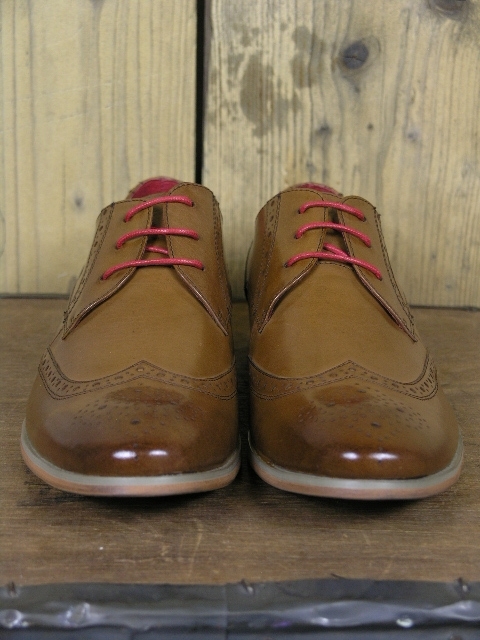 (Brown laces alternative also available). 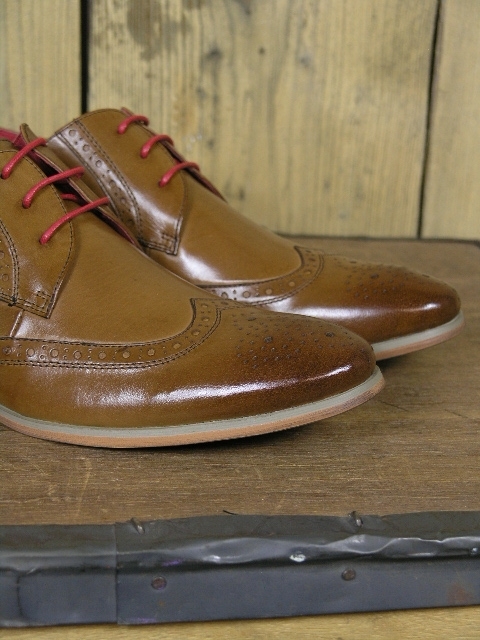 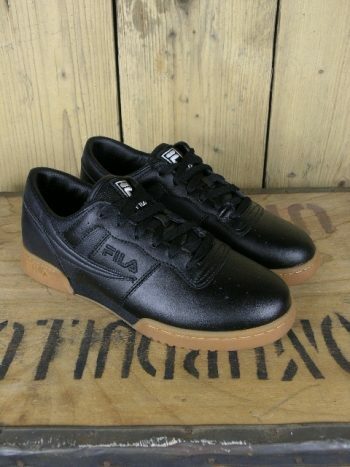 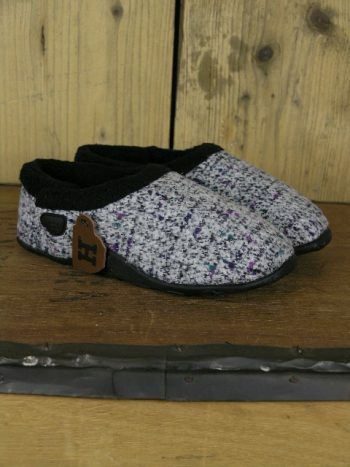 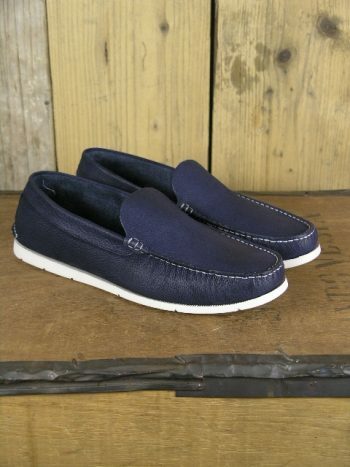 Leather sole unit.